Angus AnyWhere is a fully integrated and mobile-enabled commercial real estate management system. Also a cloud-based solution, it can help you run your operations seamlessly whether you have one building or multiple, dispersed properties. Because it is a comprehensive platform, you can rest assured that Angus AnyWhere provides you with scalable tools that help you grow your business. Moreover, Angus AnyWhere has a support team you can count on to support you anytime. That is why whenever you encounter issues with your software, you can simply ring them to get the assistance you need. On top of that, they also listen to your comments and suggestions to make the platform better. Your tenants expect to receive high-quality assistance when they need it. You and your team can rise to the challenge with the aid of Angus AnyWhere. The platform has an integrated service management module that includes a branded, mobile-friendly, and secure self-service portal for tenants. Through this, they can view their bills, edit their list of authorized visitors, ask for maintenance services, and more. Via this portal, you can respond seamlessly to requests, reduce phone calls to your contact center, and offer value-added services to your tenants. Do not wait for your tenants to call your attention to things that need maintenance. Rather, have Angus AnyWhere help you schedule preventive maintenance to reduce breakdowns in your property or across your portfolio. By doing so, you can ensure that your assets are well preserved and make certain that critical measures are conducted regularly for risk and insurance costs reduction. Additionally, your maintenance personnel have access to a mobile portal. This lets you assign tasks, track the status of each responsibility, and gain a better overview of the maintenance workflow. With Angus AnyWhere, you can implement a visitor management system. This lets you keep a digital log of every person who goes to visit your tenants. Through this, you can keep your building’s occupants as well as your personnel safe. Furthermore, you can deliver emergency notifications and directions to your tenants in the case of an urgent situation. This allows you to make sure that everyone is accounted for during crises. Having a professional website allows you to push announcements regarding your property and other things to your tenants as well as promote your building or portfolio to interested customers. Other than that, you can utilize the website for keeping a Tenant Handbook. With this, you can effectively communicate your policies, emergency procedures, and more and make known updates immediately. Making operational decisions are done best when coupled with accurate insights. To assist you in that regard, Angus AnyWhere has performance measurement tools. The software has a dashboard with a drill-down capability that displays every performance aspect of your business. Plus, the platform has a suite of reports that deliver real-time information when you need it. Angus AnyWhere is designed to be open and to integrate with a broad range of third-party applications. This capability lets you connect it to your software ecosystem for a smoother workflow. And if ever you need assistance to synchronize a solution, the support team is glad to lend a hand. If you are interested in Angus AnyWhere it could also be a good idea to check out other subcategories of Best Property Management Software gathered in our database of B2B software reviews. Since each organization has unique business needs, it is advisable for them to desist from looking for a one-size-fits-all ideal software system. Needless to say, it would be pointless to try to find such an app even among popular software applications. The smart thing to do would be to jot down the various important factors that need consideration such as main features, budget, skill levels of staff members, company size etc. Then, you should do your research thoroughly. Read some Angus AnyWhere reviews and check out each of the other systems in your shortlist in detail. Such exhaustive groundwork can ensure you weed out ill-fitting platforms and zero in on the system that provides all the elements you need for business success. How Much Does Angus AnyWhere Cost? 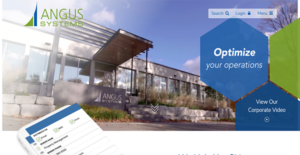 Angus AnyWhere is the open and integrated platform for streamlined real estate management designed by Angus Systems. If you are interested in implementing it for your own operations, get in touch with a sales representative to receive your custom enterprise pricing. We realize that when you make a decision to buy Property Management Software it’s important not only to see how experts evaluate it in their reviews, but also to find out if the real people and companies that buy it are actually satisfied with the product. That’s why we’ve created our behavior-based Customer Satisfaction Algorithm™ that gathers customer reviews, comments and Angus AnyWhere reviews across a wide range of social media sites. The data is then presented in an easy to digest form showing how many people had positive and negative experience with Angus AnyWhere. With that information at hand you should be equipped to make an informed buying decision that you won’t regret. What are Angus AnyWhere pricing details? What integrations are available for Angus AnyWhere? If you need more information about Angus AnyWhere or you simply have a question let us know what you need and we’ll forward your request directly to the vendor.